30, Jalan Tun HS Lee, 50000 Kuala Lumpur. From OCBC along Jalan Tun Perak, head towards the LRT station and keep going straight until you reach Jln Tun HS Lee. Turn left into the road and LOKL is on your right, part of the Back Home hotel. 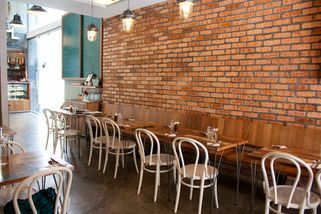 LOKL is a lovely little café situated in the heart of KL, amid the hustle and bustle of the city streets. It’s nestled between old colonial era buildings, reminiscent of Straits cities like Penang and Malacca. Inside, there is a nice, modern yet indie feel to it. The walls are covered with all sorts of interesting art. Some of the walls are bare, which contributes to the minimalistic deco. Inside, there is a small courtyard that patrons can dine at. There are trees and greenery around—a perfect little spot for some down time. 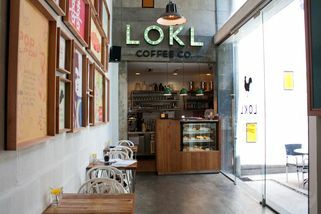 LOKL serves an array of coffees, sandwiches, desserts, and light meals—perfect for a quick breakfast or lunch. 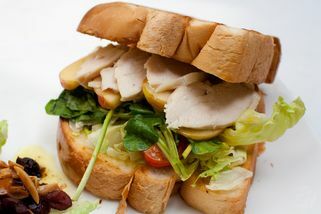 Some of their most popular dishes are their messy pulled beef burger, hainanese meat loaf, and smoked chicken sandwich. 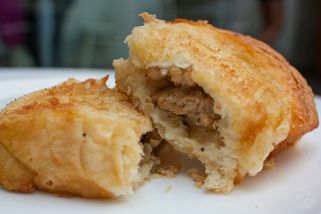 They also serve local and Western desserts such as crème brulee and putu mayam toasties! "This is a great hidden cafe in the ..."
This is a great hidden cafe in the middle of KL, with a wonderful ambience. This cafe is attached to a backpacker lodge at shoplots between pudu n little India. The surroundings is really dusty with bad traffic n rude motorists, but once you step inside it's like a cozy different world. The center of shoplot is an open air area with benches and (artificial) trees where you can chill with a coffee and a book. 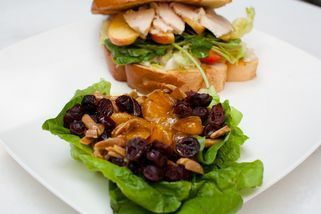 The pulled beef burger was good, the chicken salad also satisfying and tasty. Price a bit high but I guess you pay for KL prices. Coffee was all right - nothing to shout about. But the atmosphere and warm service definitely makes it a place that I will revisit. 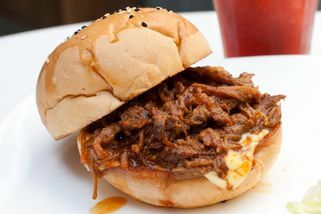 I am usually not a fan of pull pork burgers, so I didn't think I'd really like the halal version of that here (pulled BEEF burger).. but, it's great!! I think I like it better than pulled pork burger. The best thing about this place is the ambience--it's so chilled out and relaxing. Such a great place to unwind or catch up on some reading. I don't drink coffee, so I can't attest to the quality of their coffees, but the food is pretty good. Only downside is that parking is a nightmare since it's located on what might be THE MOST congested street in KL, but if you don't have to worry about parking, this place is great! Who on earth knows there's such a relaxing place in the middle of a busy town! It may not be as spacious but totally a cozy place with nice music and friendly staff. Although there's no wide selection in the menu and the portion might be a little bit too small for big eaters, is all good for me. Love their classic hainanese coffee - I had two coffees in my last visit (crazy!!).. Indeed a lovely place that you feel like spending you whole day in! 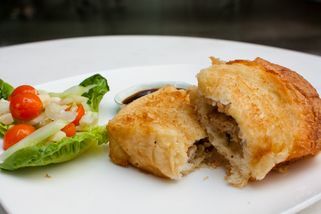 I shall go there again for their putu mayam toasties..yummy!